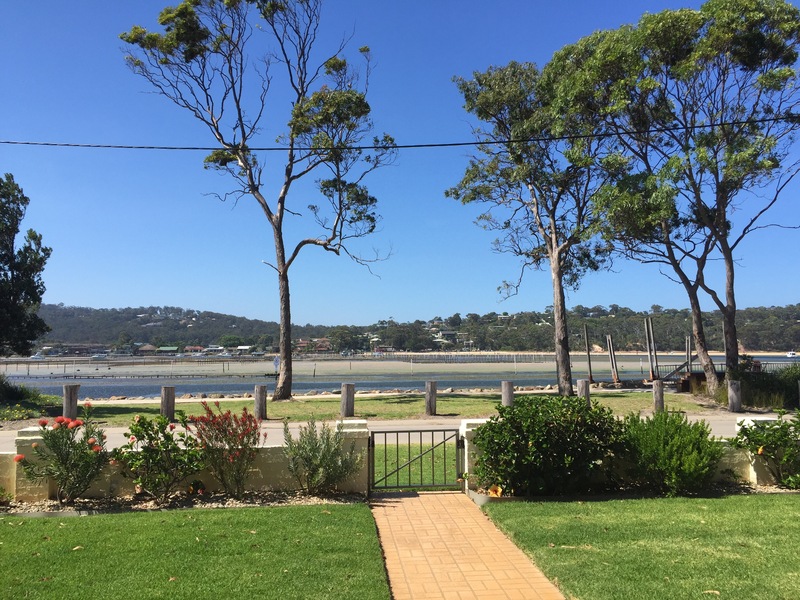 It doesn’t matter how many times we do it, every year that we head to Merimbula in New South Wales for summer vacation is exciting and new. 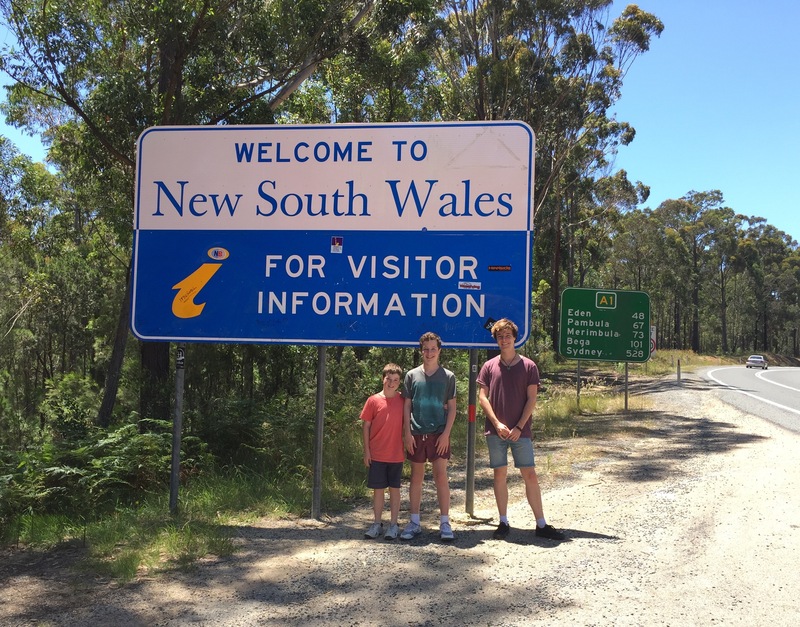 Just like last year, and the year before that, and the many years before that, we stop at the NSW border for the annual time-lapse photo, along with the “Oh what a feeling” jump. It seems like yesterday since we were last here, but a whole year has gone by. Everything is the same and yet it is different. Dylan is now a teenager, Joshua has left the primary school the family has attended for the past 11 years, Adam has a casual job and is about to commence university and the boys have travelled to the other side of the planet and seen the world. And yet, the thrill of arriving at Merimbula never wears off; we all let out a big sigh and slip immediately into holiday mode. I look forward to the new adventures in store for us. 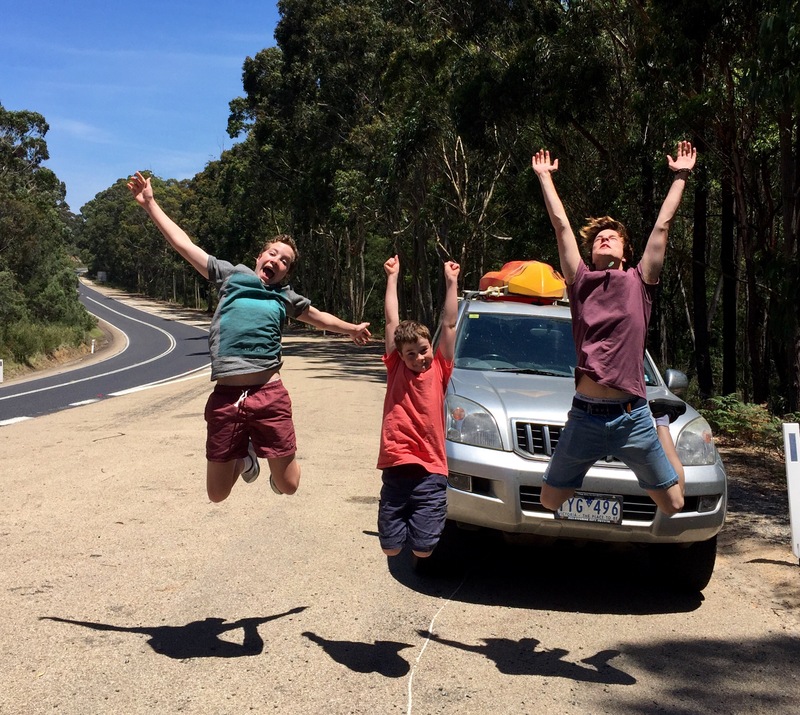 This entry was posted in Australia, Family, gratitude, joy, kids, life, postaday, relaxation, rest, summer, teenagers, Travel, vacation, Victoria, Weekly Photo Challenge and tagged merimbula, new, nsw, postaday, summer, vacation, weekly photo challenge. Bookmark the permalink.